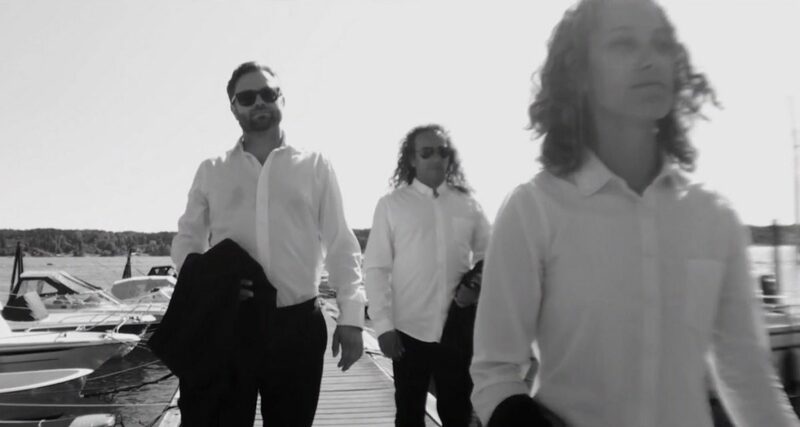 Synthpop band ARGH from Tønsberg, Norway, just released a tribute music video to the Black song “Wonderful Life”, written by Colin Vearncombe in 1985. ARGH wanted to recreate the video as close to the original as possible, all in their neighbourhood of Tønsberg and Nøtterøy, and it’s become quite an evocative piece of film of the three ARGH members Andreas N. Rønbeck, Glenn Main Henriksen and Glenns daughter, Iselin Main Grønvold. Side-Line: How did you end up doing a cover version of this particular song? Andreas: I suggested it to Glenn as a cover song, because it is one of my all time favourite tunes, and it also, felt at the time like a forgotten one-hit wonder that I didn’t want people to forget, but rediscover through ARGH. The song also suited ARGHs way of making music. Glenn liked the idea, and soon came up with a nice version. At the time, we were in a “vacuum” after publishing our first album, and we released the single after Glenn was able to get it approved by Colin Vearncombe himself through his Facebook page. He even posted it to his followers, describing it as an interesting version with a Scandinavian touch! We first published it as a single shortly after Glenns dialogue with Colin, just before Christmas in 2015. S-L: And why make a video of it several years later? A: That’s simply because the song made it to our new album, and together with the title track Get It Right is one of the most played songs on radio stations from this album. Small indie radio stations with a synth approach in Canada, UK, France, Poland, Norway and other countries has played it, and also been asking us about it in interviews, so it felt natural to make a video now. Iselin, our new band member, really wanted to record and edit it herself, which is important since ARGH still is a no budget group when it comes to recording expenses (we use our own studio) and video expenses (we record our own videos). We’ve only spent some money for the promo for the record, boosting Facebook posts, etc., but even that was low budget compared to many or most other groups’ budget in general. The song was already part of our live set when Colin died, and we played “Wonderful life” live in Poland the day he died. That felt very strange, partly because of the content of the lyrics, but also because we felt that we had to play it for Colin. We didn’t want the audience to applaud after the song, but asked for a moments silence and the crowd respected that. It was a moment that was strange, but also nice in a sad way, to honour his memory this way. S-L: Other plans in the near future? A: We have a gig coming up in Sweden, on Saturday October 28th. ARGH have never played in Sweden before, so we’re really looking forward to it. We’re invited to play in Ulricehamn, a small town with a competent electronica society called Ulricehamns Elektroniska Societet, who’s setting it all up for us. We’ll assume that’ll be a kick!